Identifying genres can be hard to teach, especially all at one time! 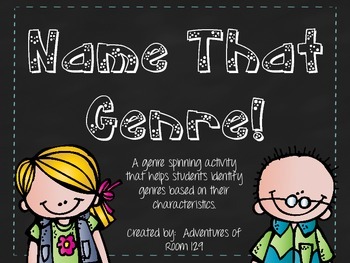 This is a fun and simple activity that has students practicing genre identification all at once! Students are given a spinner (5 sections). In each part of the spinner is a description of a genre. 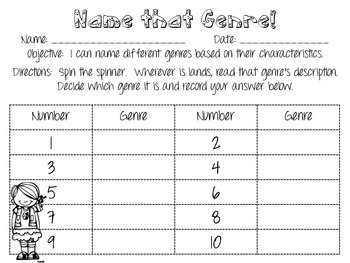 Students then identify the genre based on the characteristics and record their answer on their sheet. There are 15 different genres addressed in this activity. 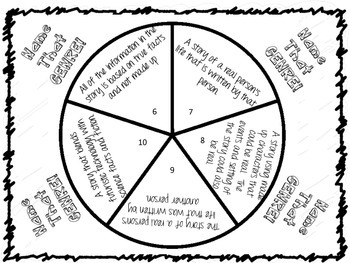 The 5 sub-genres of Folktales are included but are all on a separate spinner. 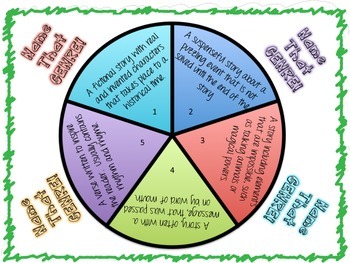 This activity is great as a partner game, center, small group intervention, or even whole group under a document camera! All of the spinners are included in color and black and white for easy printing. Answer key is provided. Thank you for your interest!